they design unique gifts, so awesome you won't want to give them away! Inventors of the famous Scratch Map & the much anticipated Smartphone Projector! 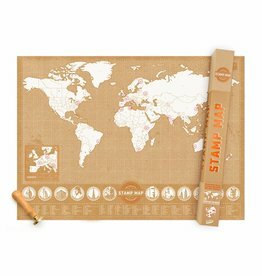 Hands down the swankiest map yet, this vintage look kraft and copper foil Stamp Map™ poster is a quirky take on our original Scratch Map® poster, giving you a new way to keep track of your travels. 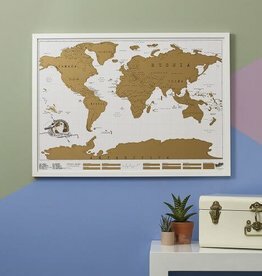 Scratch Map® is first and foremost a map of the world, already gorgeous in quality and a great addition to any wall. However it’s a map with a difference.